Incidence of ischemic heart disease (IHD) according to lipid categories and level of low-density lipoprotein cholesterol (LDL-C). P value represents statistical significance between the 2 groups. TG indicates triglycerides; HDL-C, high-density lipoprotein cholesterol. Incidence of ischemic heart disease (IHD) according to lipid categories and hypertensive status. P value represents statistical significance between the 2 groups. TG indicates triglycerides; HDL-C, high-density lipoprotein cholesterol. Incidence of ischemic heart disease (IHD) according to lipid categories and level of physical activity. P value represents statistical significance between the 2 groups. TG indicates triglycerides; HDL-C, high-density lipoprotein cholesterol. Incidence of ischemic heart disease (IHD) according to lipid categories and smoking status. P value represents statistical significance between the 2 groups. TG indicates triglycerides; HDL-C, high-density lipoprotein cholesterol. Background A high triglyceride (TG)–low high-density lipoprotein cholesterol (HDL-C) level (TG ≥1.60 mmol/L [≥142 mg/dL] and HDL-C ≤1.18 mmol/L [≤46 mg/dL]) is associated with a high risk of ischemic heart disease (IHD), whereas a low TG–high HDL-C level (TG ≤1.09 [≤97 mg/dL] and HDL-C ≥1.48 mmol/L [≥57 mg/dL]) is associated with a low risk. Conventional risk factors tend to coexist with high TG–low HDL-C levels. We tested the hypothesis that subjects with conventional risk factors would still have a low risk of IHD if they had low TG–high HDL-C levels. Methods Observational cohort study of 2906 men aged 53 to 74 years free of IHD at baseline. Results During 8 years, 229 subjects developed IHD. Stratified by conventional risk factors—low-density lipoprotein cholesterol level (≤4.40 mmol/L or >4.40 mmol/L [≤170 mg/dL or >170 mg/dL] [median value]), hypertensive status (blood pressure >150/100 mm Hg or taking medication), level of physical activity (>4 h/wk or ≤4 h/wk), and smoking status (nonsmokers vs smokers)—the incidence in men with high TG–low HDL-C levels was 9.8% to 12.2% in the low-risk and 12.2% to 16.4% in the high-risk strata; the corresponding values in men with low TG–high HDL-C concentrations were 4.0% to 5.1% and 3.7% to 5.3%, respectively. Based on an estimate of attributable risk, 35% of IHD might have been prevented if all subjects had had low TG–high HDL-C levels. Conclusion Men with conventional risk factors for IHD have a low risk of IHD if they have low TG–high HDL-C levels. In the early part of cardiovascular epidemiology, the role of major risk factors of IHD such as a high low-density lipoprotein cholesterol (LDL-C) concentration, hypertension, low physical activity, and smoking was established.2,3 These major risk factors tend to coexist with high TG–low HDL-C concentrations.1 The present study was initiated to test the hypothesis that subjects with the major classic risk factors listed previously would still have a low risk of IHD if they had low TG–high HDL-C concentrations. We describe the methods in the CMS in greater detail elsewhere.1 The CMS was started in 1970 as a cardiovascular study of 5249 men.4,5 In 1985 and 1986, a new baseline was established and was used for the present study. All survivors from the 1970 study were traced by means of the Danish Central Population Register. Between June 1, 1985, and June 1, 1986, all survivors (except 34 emigrants) from the original cohort were invited to take part in this study; 3387 men (75%) agreed and gave informed consent. Their mean age was 63 years (range, 53-74 years). Each subject was interviewed by a physician (H.O.H.) about a previously completed questionnaire and examined with measurements of height, weight, and blood pressure. A venous blood sample was taken for lipid measurements after subjects had fasted for at least 12 hours. Men who had a history of acute myocardial infarction, angina pectoris, stroke, or intermittent claudication were excluded from the follow-up study. For all who reported admission to the hospital because of acute myocardial infarction before the start of the study, hospital records were checked. Information on angina pectoris, stroke, and intermittent claudication was established from the questionnaire. Three hundred forty-two men (10.1%) were excluded because of cardiovascular disease and 139 men (4.1%) were excluded because of missing data. Thus, 2906 men were eligible for the prospective study. Serum concentrations of total cholesterol, TGs, and HDL-C were analyzed by standard methods.6-9 The concentration of LDL-C was determined according to the Friedewald formula.10 Approximately 1.5% of the study population had a TG level greater than 4.50 mmol/L [>399 mg/dL], where the indirect LDL-C calculation becomes unreliable. However, excluding subjects with TG levels greater than 4.50 mmol/L [>399 mg/dL] from the study did not materially affect any of the results, so we continued to use the formula of Friedewald 10 in subjects with TG levels greater than 4.50 mmol/L [>399 mg/dL] and did not measure LDL-C level directly. Men were subdivided into 3 groups based on serum concentrations of fasting TGs and HDL-C. A high TG–low HDL-C concentration was defined as belonging to the highest third of TG (cutoff point, ≥1.60 mmol/L [≥142 mg/dL]) and the lowest third of HDL-C (cutoff point, ≤1.18 mmol/L [≤46 mg/dL]). A low TG–high HDL-C concentration was defined as belonging to the lowest third of TG (cutoff point, ≤1.09 mmol/L [≤97 mg/dL]) and the highest third of HDL-C (cutoff point, ≥1.48 mmol/L [≥57 mg/dL]). An intermediate group was defined as not belonging to either of these 2 groups. Self-reported type 2 diabetes mellitus was accepted, provided the diagnosis had been verified previously by a physician. In the CMS, no measurements of plasma insulin or glucose levels were performed. Blood pressure was measured on the right arm with the subject seated by means of the manometer developed by the London School of Hygiene.11 The definition of hypertension was based on questionnaire information and blood pressure measurements; the criteria were self-reported use of antihypertensive medication or systolic blood pressure of at least 150 mm Hg and diastolic blood pressure of at least 100 mm Hg. Body mass index (BMI) was calculated as weight in kilograms divided by the square of height in meters. With respect to leisure time physical activity, men classified themselves as sedentary or slightly active less than 4 hours per week or physically more active based on questions in the questionnaire. According to the system of Svalastoga,13 men were divided into 5 social classes based on level of education and job profile. In 1995, a register follow-up was carried out on morbidity and mortality between 1985-1986 and December 31, 1993. All men who had taken part in the 1985-1986 examination were traced from registers. Information on hospital admissions and death certificate diagnoses during follow-up was obtained. We used the diagnoses from official national registers. Ischemic heart disease diagnoses accepted were International Classification of Diseases, Eighth Revision,14 codes 410-414. Previous studies15,16 have demonstrated a high validity of Danish national registers. Variables of interest were expressed as mean (SD) or frequency percentage. Differences between groups were tested using analysis of variance or the Kendall τ B test for trend or χ2 analysis. The simultaneous contributions of several factors to the risk of IHD were analyzed using multiple logistic regression models and the maximum likelihood ratio method. All calculations were performed using statistical software.17,18 Unless otherwise stated, P≤.05 was taken as statistically significant. The study was approved by The Ethics Committee for Medical Research in the County of Copenhagen, Denmark. Lipid and nonlipid characteristics of the 3 groups are summarized in Table 1. During 8-year follow-up, 229 men had a first IHD event; about a quarter of the events were fatal. In total, 426 men died of all causes. Crude cumulative incidences of IHD were 4.5% in the low TG–high HDL-C group and 12.2% in the high TG–low HDL-C group (P<.001). Table 2 shows the characteristics of the men who had a first IHD event during follow-up compared with those who remained free of IHD. The relative strength of association with risk of IHD of a high TG–low HDL-C concentration and a low TG–high HDL-C concentration after adjustment for potentially confounding factors or covariates is shown in Table 3 and Table 4, respectively. Variables are ordered according to strength of association with risk after multivariate adjustment in a logistic regression model with backward elimination of variables. Table 3 shows that a high TG–low HDL-C concentration was entered as the strongest risk factor of IHD, and Table 4 shows that a low TG–high HDL-C concentration was associated with a significantly decreased risk of IHD. To study the interplay of high TG–low HDL-C and low TG–high HDL-C concentrations with conventional risk factors of IHD,2,3 we calculated the crude cumulative incidence in the 3 groups stratified by LDL-C level (≤4.40 mmol/L or >4.40 mmol/L [≤170 mg/dL or >170 mg/dL] [median value]) (Figure 1), hypertensive status (blood pressure >150/100 mm Hg or taking antihypertensive medication) (Figure 2), level of physical activity (>4 h/wk or ≤4 h/wk) (Figure 3), and smoking status (nonsmokers vs smokers) (Figure 4). In all 4 figures, a clear gradient of risk was seen across the 3 groups within each stratum of conventional risk factors, with an approximately 2 to 3 times higher risk of IHD in the high TG–low HDL-C group compared with the low TG–high HDL-C group (P<.001). It is also seen that when a low TG–high HDL-C concentration was present with conventional risk factors of IHD, risk was approximately 5% or less. In all 4 figures, IHD incidence for those with the risk factor in question but with low TG–high HDL-C concentrations was compared with that for those without the risk factor but with high TG–low HDL-C concentrations, and it is seen (Figure 1) that those with a high LDL-C level and a low TG–high HDL-C concentration had a significantly lower risk of IHD than those with a low LDL-C level and a high TG–low HDL-C concentration. The same was the case for the other conventional risk factors, although the difference reached statistical significance with respect to physical activity only (Figure 3). Finally, we calculated the attributable risk of IHD associated with not being in the low TG–high HDL-C group. In a logistic regression analysis adjusted for the potentially confounding factors or covariates shown in Table 4, the odds ratio associated with belonging to the intermediate and high TG–low HDL-C groups was 1.7 (95% confidence interval, 1.02-2.5). Based on the estimated relative risk and information about how large a proportion of the study population had this increased risk, approximately 80%, the attributable risk could be calculated to 35% (95% confidence interval, 2%-55%). There seems to be substantial biological support for our finding that a low TG–high HDL-C concentration is associated with a very low risk of IHD, whereas a high TG–low HDL-C concentration is a central risk factor of IHD. We think that our results should be considered with special reference to the absence or presence of the metabolic syndrome.19-21 The metabolic syndrome describes the frequent aggregation in a single person of multiple interrelated abnormalities in glucose and lipid metabolism, including insulin resistance, glucose intolerance, an atherogenic dyslipidemia, and hypertension,19-21 and the metabolic syndrome is believed to play a major role in the pathogenesis and clinical course of what are often referred to as diseases of Western civilization.21 The characteristic lipid abnormality seen in people with the metabolic syndrome is a lipid profile with high TG–low HDL-C levels,19-21 whereas a lipid profile with low TG–high HDL-C levels is the characteristic finding in people without this syndrome.19 The metabolic syndrome with high TG–low HDL-C concentrations has an effect on LDL particle size, density distribution, and composition, leading to a smaller and denser LDL particle22,23 that is more easily oxidized24 and thus much more atherogenic.25,26 The metabolic syndrome with high TG–low HDL-C concentrations includes an increased amount of TG-rich lipoproteins, some of which are very atherogenic, leading to progression of coronary artery lesions.27,28 The metabolic syndrome with high TG–low HDL-C concentrations is closely associated with deficient fibrinolysis through higher levels of plasminogen activator inhibitor-121,29 and is closely associated with hyperinsulinemia and hyperglycemia, 2 other changes known to be important risk factors of IHD.30,31 Thus, it is clear that when a high TG–low HDL-C concentration is present, several other important, well-established risk factors of IHD will also frequently be present to enhance the risk of IHD.20,21 In contrast, when a low TG–high HDL-C concentration is present, people will be without this cluster of risk factors and thus tend to have a much lower risk. A high level of LDL-C is not associated with the metabolic syndrome per se,32 and when a high LDL-C level is present with a low TG–high HDL-C level, the LDL particle is larger, more buoyant,22,33 and less easily oxidized24 and thus much less atherogenic.25 This, together with the absence of the other risk factors in the metabolic syndrome, might explain why isolated hypercholesterolemia is not necessarily associated with a high risk of IHD. Thus, in accordance with our findings, in the West of Scotland Coronary Prevention Study,34 middle-aged men with isolated hypercholesterolemia had a 5-year risk of IHD of only 5.3%, whereas middle-aged men with evidence of the metabolic syndrome had a 5-year event rate of 14.1%. Finally, the results from 3 other recently published prospective cardiovascular studies35-37 also suggest that the metabolic syndrome plays an important role in IHD. In the CMS, we have no measurements of plasma insulin or glucose, and simply basing the metabolic syndrome on lipid criteria might not be adequate for some readers. However, although most readers probably would consider fasting insulin to be a better surrogate for insulin resistance, in large-scale cohort studies, carefully conducted metabolic ward studies have found a similar relation between fasting TG levels and insulin resistance (r = 0.65) as that between fasting insulin levels and insulin resistance (r = 0.47),22,38 so we believe it is justified to discuss the metabolic syndrome on the basis of TG and HDL-C levels, 2 lipid measurements readily available for most physicians, making our observations easy to apply in clinical medicine. 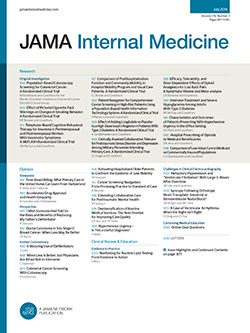 In addition, in our study population, presence of other risk factors belonging to the metabolic syndrome,19 such as low physical activity, higher BMI, higher systolic and diastolic blood pressure, and higher prevalence of hypertension and type 2 diabetes mellitus, tended to cluster in persons with high TG–low HDL-C levels, whereas persons with low TG–high HDL-C levels tended to have a higher level of physical activity, lower BMI, lower systolic and diastolic blood pressure, and lower prevalence of hypertension and type 2 diabetes mellitus (Table 1); so by focusing on high TG–low HDL-C and low TG–high HDL-C concentrations, it was possible to identify persons who seemed to have or not have the metabolic syndrome, respectively. Our results suggest that measurement of TG and HDL-C levels should always be included in screening tests, and professionals working in preventive medicine should have the metabolic syndrome in mind, not just high cholesterol. Our results also underscore the importance of not having the metabolic syndrome at the population level. Based on our point estimate of attributable risk, 35% of the IHD events in our study population might have been prevented if all of the 2906 men had had low TG–high HDL-C levels. In this context, the corresponding estimate of attributable risk for not being in the lowest fifth of LDL-C levels (≤3.6 mmol/L [≤139 mg/dL]) was 18%. So, only 18% of the IHD events in our study population would be expected to be prevented if all of the 2906 men had had LDL-C levels of 3.6 mmol/L or less (≤139 mg/dL). Because the presence of a high TG–low HDL-C concentration is associated with such a high risk of IHD, individuals with this lipid profile should be encouraged to make lifestyle changes, and even treatment with drugs should be considered. However, it should be noted that so far no primary prevention trials have been designed to specifically evaluate treatment strategies in people with high TG–low HDL-C levels. Lifestyle changes such as weight loss39 and moderate physical exercise40 will lower TG levels and increase the level of HDL-C, and it might also be beneficial in a weight-controlling diet to replace saturated fats by unsaturated fats that in addition to a positive effect on LDL-C levels also will lower TG levels and increase HDL-C levels.41 Concerning drug treatment, results of post hoc subgroup analyses have suggested that fibric acid derivatives might be useful in people with high LDL-C levels and high TG–low HDL-C levels42 and that statins might be useful in lowering the risk of IHD inpeople with high TG–low HDL-C levels.34,43 In addition, our results suggest that persons with hypercholesterolemia and low TG–high HDL-C levels probably do not require drug treatment of hypercholesterolemia but only dietary advice because their absolute risk of IHD is low, a finding in accordance with the West of Scotland Coronary Prevention Study,34 and although smokers and hypertensive persons with low TG–high HDL-C levels have a low risk of IHD, they should be encouraged to modify their lifestyle by not smoking and controlling their blood pressure to lower their risk of cancer and stroke. Accepted for publication August 15, 2000. This study received grants from King Christian X's Foundation, The Danish Medical Research Counsil, The Danish Heart Foundation, and Else and Mogens Wedell-Wedellsborg Foundation, Copenhagen, Denmark. Corresponding author and reprints: Jørgen Jeppesen, MD, The Copenhagen Male Study, Epidemiological Research Unit, Copenhagen University Hospital, Bispebjerg, Bispebjerg Bakke 23, DK-2400 Copenhagen NV, Denmark.